What is our unique craftsmanship? Please note: this is a standard body model which means only the head part will be customized, the clothing style and body pose is pre-made and cannot be changed, only clothing colors can be modified. 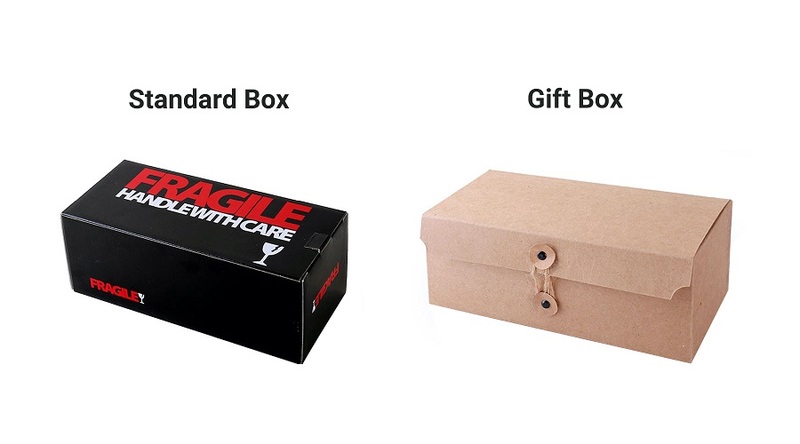 It also does not include any of the accessories including hat, glasses or logos, these options are all available at an additional cost. 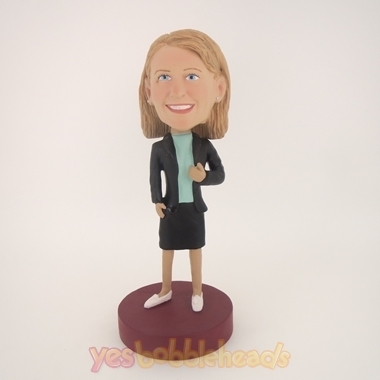 If you would like any specific accessories added to your bobblehead you must choose the appropriate options even if they are included in your photos. If you would like to fully customize your bobblehead we recommend you to order from our Head to Toe Custom bobblehead category. Proofing service allows you to become part of the approval process for both clay molding and painting steps, emails will be sent to you for both steps and revisions can be made until you are 100% satisfied. We will only move on to the next step until we get your approval. Proofing is the utmost important process to ensure the best likeness and highest quality of your custom bobbleheads. We highly recommend for unlimited times proofing service. If there's any hat or glasses in the product photo above, they're just for demo purposes only, you will still need to chooe the option below if you need either of them for your doll. You have the option to choose how soon to receive your custom bobblehead product. We will try very hard to provide your dolls in the timeline you choose. Also note, this does not include the shipping time which will take some extra days. Order notes such as color changes, adding items to base details etc. By clicking Add to Cart below, I understand that our Custom Made Bobbleheads are in no mean to be the exact replicas of the person(s) in the photos. While most of our customers are thrilled with our work and manage their expectation properly, some customers may not. If you are a perfectionist and expecting exact replica(s), we will recommend that you NOT to click Add to Cart and to complete the order. By clicking Add to Cart, I also understand that the Production Method and Service selected above is an estimate and based on the assumption that customers approve their work promptly (within 24 hours) without delay. While we manage to produce and ship on time for most cases, we cannot control factors such as delayed customer responses, many rounds of revisions and delays from couriers. Thus, you understand that this is a best-effort service and by no means a guarantee. You understand that no refund will be issued if the delay is caused by factors beyond our control. including, but not limited to, what’s described above. By clicking Add to Cart, I further understand that that since the custom bobblehead is unique for each customer and thus has no resell value, custom bobblehead order is non-cancellable and nonrefundable once the process starts. So please think carefully before placing the order. Our website shows many premade style bodies to choose from. A premade body is as seen in sample form. The heads on the premade body on our website are for sample purpose only. The complexion, hair style and color along with the sculpted head will look like your photo. So disregard the head on our samples. A premade body cannot be altered from the type of pose or clothing the doll is wearing as in our sample. You can modify the clothing colors on the doll if you select the change color option. (Fee apply) This option, allows any part of the doll to be modified in any color. This includes any doll accessories applicable. If you need to have a different pose of different type of clothing, you will have to create a full head to toe doll in order for us to sculpt the doll as you may like. Our website shows many premade samples to choose from. We recommend taking a look to see if one can work for you. Also, try our search bar in the middle of the top to make searching a little easier. Keywords like: Golf, Baseball, Office will narrow the search saving you time. By default our custom bobblehead dolls are 7 inches tall. This is the industry standard. What is Bobblehead Proofing? Our dolls are created with your help. We offer proofs during the different steps of creation of your hand sculpted custom bobblehead doll. This means a great deal when creating your custom bobblehead doll to help ensure greater satisfaction. Why do I want Bobblehead Doll Proofing? We do not know the person in the photo/s that you will provide to us. And in most cases you do know them; you can assist us to make modifications in each step of the process. We can provide better products with amazing results. Second, we may miss an important feature that you can point out and allow us to modify. We only succeed if we can ensure that ours dolls are received better than expected. By doing so, we ensure the continued success of referrals and reorders. What type of proofs do I see? It truly depends on the type of doll you order or the material you choose. 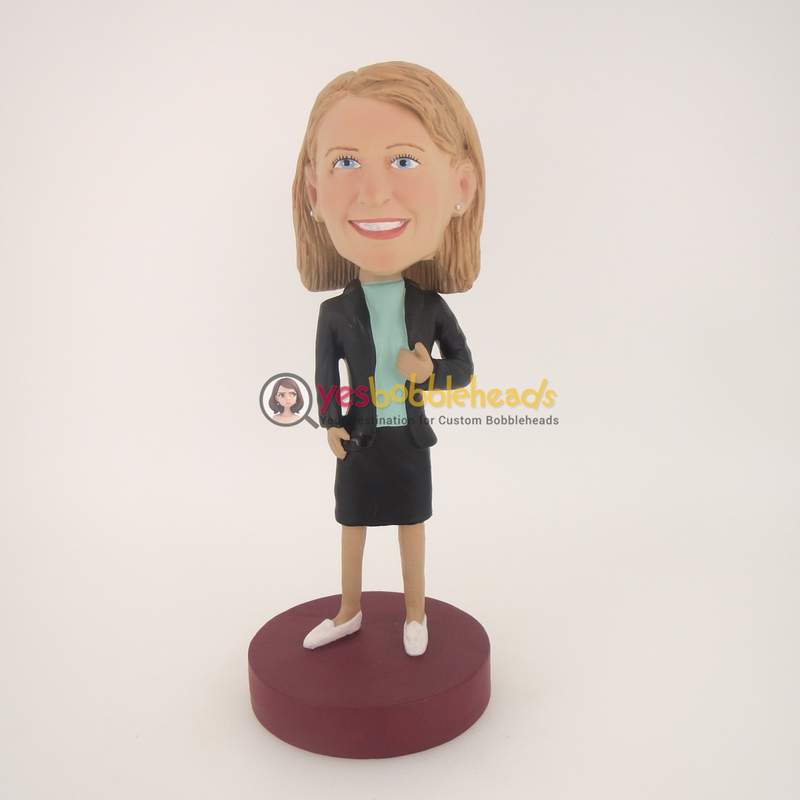 During the custom bobblehead process, we can provide complexion proofs, head proofs, body proofs (if full custom is utilized) and full color completed proofs. Each step can be approved or modified while in that step. If a change is requested, we will amend the doll proof and provide a revised proof for approval. If the new proof is approved we will bake the mold in the step and move forward towards another type of proof. As approvals are received, we continue to bake and process your dolls. Super important - Some of our production options such as 1-2 weeks or 1 week will only have internal proofing only. We make the dolls, use a internal proofer and then send the dolls. If your timeline permits, we highly suggest a 2-3 or longer time line so you can provide the approvals. This yields greater satisfaction. Once the approval is provided in a stage, you cannot longer modify the mold. This is crucial in complexion proofs and clay head / body proofs. Once approved the item is baked. Once baked, only colors can be modified. To make a structure change on an approved head/body will result in a resculpt fee. Final Price $129.99 Price varies according to different customization selections.